DESIGN LETTERS & Friends is a Danish design company founded by former copy writer and journalist Mette Thomsen. 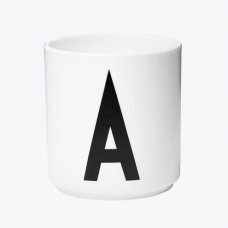 DESIGN LETTERS is well known for it's design series with a typography hand drawn in 1937 by the world renowned Danish Architect Arne Jacobsen. 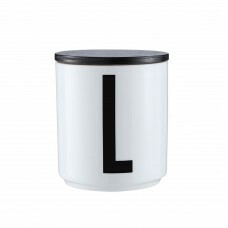 WOODEN LID IN BLACK FOR DESIGN LETTERS CUP This lid fits the Arne .. 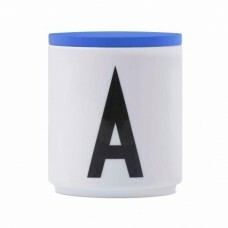 WOODEN LID IN BLUE FOR DESIGN LETTERS CUP This lid fits the Arne J.. 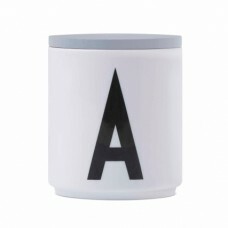 WOODEN LID IN GREY FOR DESIGN LETTERS CUP This lid fits the Arne J.. WOODEN LID IN ORANGE FOR DESIGN LETTERS CUP This lid fits the Arne..